New Ryanair route: Prague-Brussels Charleroi from October! Great news for all travelers from the Czech Republic! Ryanair today announced a brand new route between Prague and Brussels Charleroi! This new low cost connection between capital of the Czech Republic and capital of Belgium will start operating on 26th October 2014. 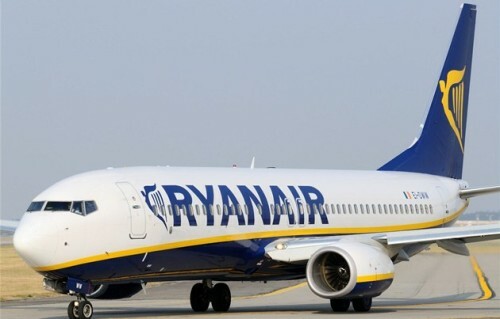 Ryanair earlier this year started flying from Prague to London Stansted and Dublin, Brussels Charleroi will be its third destination from Prague. Launch of new route between the two cities will mean even higher competition for companies who already operate on this route. Brussels is already connected with Prague through CSA Czech Airlines, Brussels Airlines and Jetairfly flights. Prices haven’t been announced yet but we expect the lowest fares to start at approximately €19.99! This is especially good news for all fans of low-cost flying because Brussels is major Ryanair hub connecting tens of airports all around Europe and this new route will make it more affordable for Czech citizens to travel for good prices. « Crazy last minute in Egypt: 9 days in 3* hotel in Hurghada, All Inclusive, flight and transfer for €184!